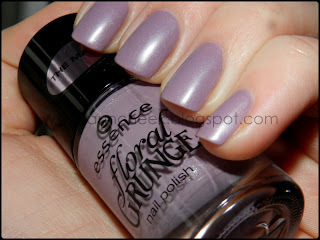 Yes I do love mint color, but this is definitely my favourite color from new Essence TE Floral Grunge. It is my first mauve polish and I have no idea what took me so long to bought my first one. I love it on my nails! 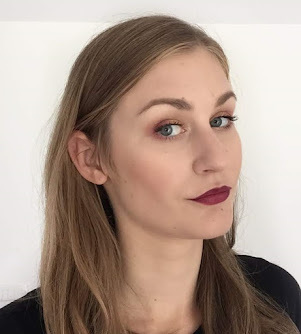 Madly Purpled its gorgeous mauve color with tiny little shimmer and it has matte finish. The firs layer was dry super fast, but it wasn't enough so I did another layer and this one took a little longer to dry. And just 'cuz I didn't love matte version that much I put on glossy top coat. I prefer glossy version, what about you? If you click on photos you get them in full size and you can see that tiny shimmer. Lepo izgleda na tebi. Mene nekao ni prepričal v trgovini in ker ga verjetno ne bi nosila, ga nisem vzela. Moj najljubši lak trenutno. :) še posebej ker je mat.